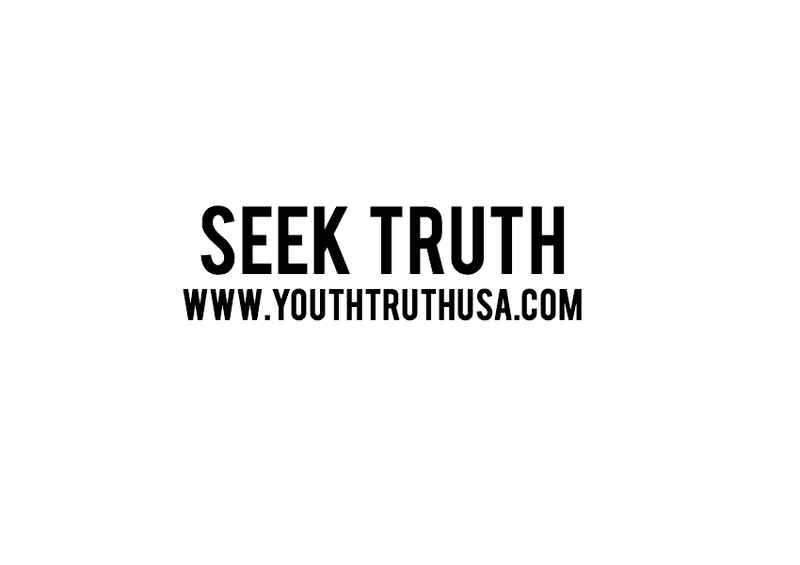 Identifying The Beast | Youth For Truth U.S.A.
Today even in the news, you hear so much about people expecting the Antichrist to come, but little explanation as to what that means. To understand, as always we must turn to scripture to show us the way. Information about the characteristics of the Antichrist can be found all throughout the bible. The Antichrist was identified 500 years ago by Martin Luther- the founder of the Protestant Reformation, yet this news was quickly squashed by the Jesuit Order of the Roman Catholic Church. For details on this, see the end of “The Rapture” page of this site. The Roman Catholic Church in the 1500’s around the time of the Reformation banned any teaching or preaching about the subject of Antichrist after this discovery of Martin Luther became public. Martin Luther was able to discern that the prophecies of the bible have continued to be fulfilled throughout history, and fulfillment of these prophecies could be seen in the present actions and history of the Roman Catholic Church. Scholars call this view of prophecy the biblical “Historic” view. To find the description of who the Antichrist is, we can look in Daniel 7, 8, 11, 2 Thessalonians 2, and Revelation 13, 17, and 18. These are great places to start when trying to identify “Antichrist”. Let’s take a look at each bible reference, and see if Martin Luther’s ID matches up. Please understand though- If you seek to understand these things, you must take time to study your bible and history. If your intention is to quickly read this page and immediately understand the complete knowledge of God, you may be discouraged. 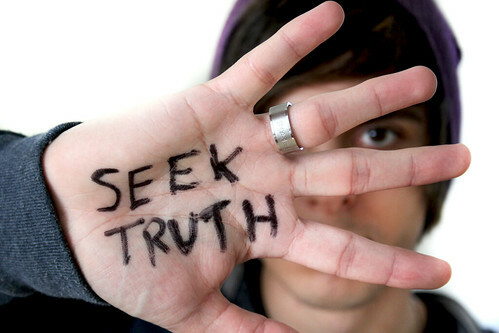 If you truly “Seek”, you shall find. Let’s take a look at God’s word in the prophecies. We encourage you to first read the prophecy, then read the explanations, and then go back to read the prophecy again with understanding. –Fourth Kingdom- Diverse from all of the kingdoms before it– Earlier in Daniel 7, there are four kingdoms that arise out of the earth. 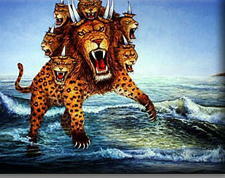 First a “Lion with Eagle’s wings” (Babylonian Empire), second a “Bear” (Medo-Persian Empire), third a “Leopard” (Kindom of Greece), and the fourth was “Dreadful, terrible and strong, with iron teeth, different than the Kingdoms before it.” Details of the Daniel 7 Prophecy are posted on the “Daniel 7 Prophecy” page of this site. Rome subdued Greece somewhere around 282 BC, and became the fourth kingdom that was different than the rest. It was different in that over a long period of time, Rome gained influence over the entire known world through its power, influence and strength. No one stood in the way of Rome, which would eventually become the Roman Catholic Church. The leadership of the Roman Catholic Church through the Dark and Middle Ages was exceedingly brutal, cruel and destructive. -Shall devour the whole earth– Rome, and eventually the Roman Catholic Church political system would have power and influence over the entire known world through the dark and middle ages. Their worldwide power did not end until 1798 when Napolean removed the Pope from Rome. –Has 10 Kings that shall arise, and one after them that subdues 3 kings– Out of the Kindom of Rome, arose 10 original Kingdoms of Europe- The VISIGOTHS, SAXONS, BURGUNDIANS, SUEVI, HUNS, FRANKS, LOMBARDS, OSTROGOTHS, VANDALS, AND THE HERULT. These kingdoms were separate and distinct. These 10 kingdoms arose out of the Kingdom of Rome, and then three of these kingdoms were subdued- OSTROGOTHS, VANDALS, AND HERULT. These were subdued by the Emperor Justinian, who would go on to establish the Roman Catholic Church as the first political and religious kingdom/super-power, run by the Papacy. You can find this event in detail on the “Bible Timeline” page of this site. We encourage you to open the Bible Timeline to take a look. This fits the prophecy in a startling way, and we encourage you to study on this. –Speaks great words against God– The Roman Catholic Church throughout it’s history has decreed many things that go against God’s laws. The most obvious can be found in their blatant changing of God’s commandments found in Exodus 20. Later on this page we will expand with specific cases where the Papacy claimed authority to change God’s statutes, in effect speaking against God. 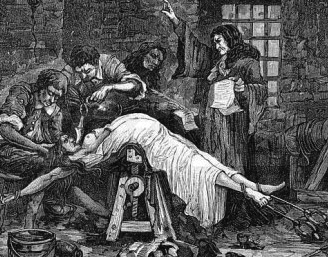 “The inquisitors…(declare) that the sign of a Vaudois (Waldeneses of France, Sabbathkeepers) deemed worthy of death, was that he followed Christ and sought to obey the commandments of God” ~ History of the Inquisition of the Middle Ages, H.C. Lea, Vol 1. –Thinks to change times and laws– The Catholic Church around 300AD, decided to first change God’s holy Sabbath Day. At the time, the kingdom was full of Sun God worshippers who worshipped on Sunday, and Lunar and Saturday Sabbath keeping Christians. In a move to unite the Kingdom under one religion, the Emporer Constantine forced the Sun God worshipers to become Christians, and forced the Christians to worship on Sunday, rather than on God’s hallowed Lunar Sabbath. 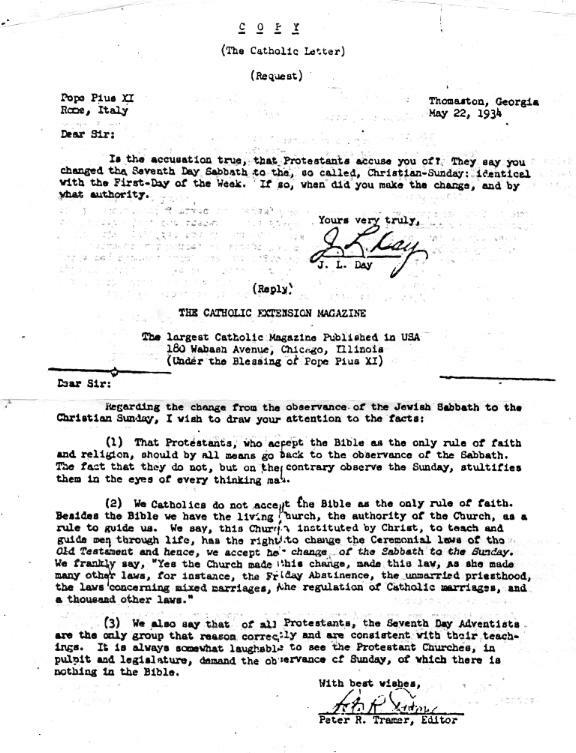 This is how they “changed times.” To the right is a letter from Pope Pius written in 1934, admitting that the Catholic Church has low regard for the bible, and that they in fact have changed many laws of God. The entire present day calendar that came out of Rome, is nothing but a pagan calendar rooted in ancient Babylon with the days of the week representing their various gods. In addition, the original Seven Holy Feast Days of God (which were celebrated by the first Church in the bible (See Colossians 2)) were done away with, and the celebrations of “Easter” and “Christmas” were instituted by the Roman Catholic Church instead- both having roots in Ancient Babylonian idol worship. December 25 has always represented the birthday of the Sun God in ancient idolatry, while Easter was a celebration for the God Ishtar. The wicked King Herod even celebrated Easter and evidence of this can be found in the book of Acts. They also changed the laws, when they decided to completely remove the 2nd commandment of Exodus 20. This commandment had to do with not worshipping any graven image, anything made by man of anything in heaven, or of the earth or of the sea. Because they removed this commandment, many forms of idolatry were permitted in the form of worshipping the saints, statues, crosses, crucifixes, cathedrals, rosaries and even the Virgin Mary. All of these things go against God’s second commandment of the Covenant. –Will have control over the saints for a time, times and half of time– To understand what this means, we have to be able to understand how much time this is referring to. There are other references in scripture to the same time period. Revelation 12:14 uses “time, times and half of time”. Revelation 11:12 & 13:15 us the time period “forty-two months”. Revelation 12:16 uses “One thousand two-hundred and three score days” (1,260 days). These all refer to the same period of time/the same amount of time. “Time, times and half of time” = 3 1/2 years = 42 months = 1,260 days = 1,260 years (using the day=year principle of prophecy from Daniel’s 70 weeks prophecy). So we prophetically are looking for a period of time spanning 1,260 years, where Antichrist will have control over the saints. The Catholic Church came into full power around the year 538AD, and the Papacy was removed from power in 1798AD by Napolean. This is exactly 1,260 years- and does identify the Roman Catholic Church as Antichrist so far. 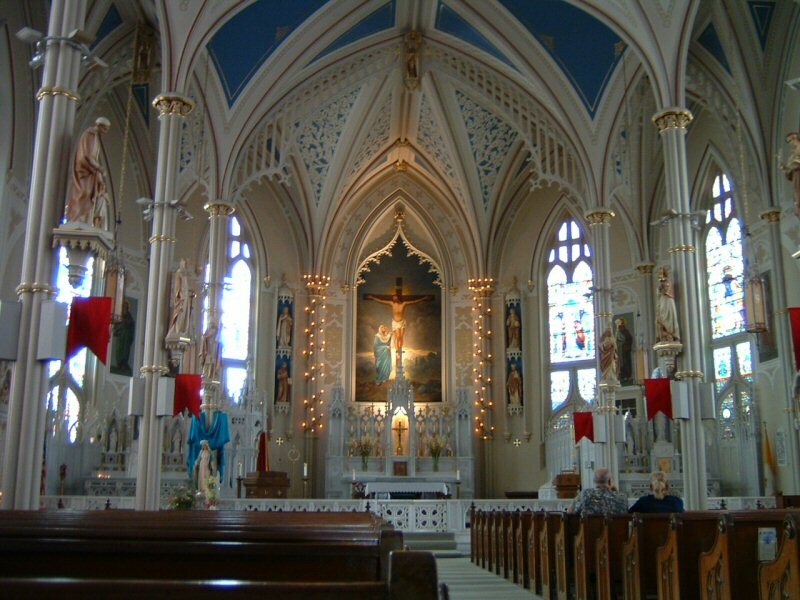 Since Napolean removed the Papacy from power, the “earth opened up” in the mass migration of Christians to America where they could have freedom to worship God as they pleased. America today holds the highest population of Christians per capita in the world. 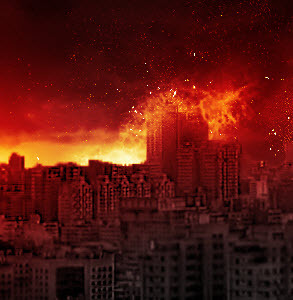 According to the bible, the beast will now seek to make war with the remnant of God’s chosen people that “keep the commandments of God” (Revelation 12:17). Daniel 8:10-12, 23-26~ And it waxed great, even to the host of heaven; and it cast down some of the host and of the stars to the ground, and stamped upon them. Yea, he magnified himself even to the prince of the host, and by him the daily sacrifice was taken away, and the place of the sanctuary was cast down. And an host was given him against the daily sacrifice by reason of transgression, and it cast down the truth to the ground; and it practised, and prospered. And in the latter time of their kingdom, when the transgressors are come to the full, a king of fierce countenance, and understanding dark sentences, shall stand up. And his power shall be mighty, but not by his own power: and he shall destroy wonderfully, and shall prosper, and practise, and shall destroy the mighty and the holy people. And through his policy also he shall cause craft to prosper in his hand; and he shall magnify himself in his heart, and by peace shall destroy many: he shall also stand up against the Prince of princes; but he shall be broken without hand. And the vision of the evening and the morning which was told is true: wherefore shut thou up the vision; for it shall be for many days. –He will magnify himself as the prince of the host– The Roman Empire after the death of Christ was particularly unfriendly to Jews and Christians alike. Emperor Nero is know for burning captured Christians in his courts for light at night time. Many Christians were “cast down” by the Roman Empire. Emperor Titus would later sack Jerusalem in 70 AD and destroy the city and the temple, yet destroying the temple was not in his plan. He desired to keep the temple in tact so that he could transform it to honor the Roman God’s, Mythology and Rome. Many years later, power would be handed over to the Roman Catholic Church system by Emporer Justinian. What host is this speaking of? It is the “host of heaven”, and who is the prince of the host? Of course it is Jesus Christ our Messiah. This tells us that Antichrist will magnify himself as Jesus the Messiah. Looking through Roman Catholic Church literature and history, we can find many things that reveal this. Other names used for the Pope are Most Holy, The Most Holy Roman Pontiff, Holy Father, Your Holiness and Vicar of Christ. 1 John 2:22 Reads “Who is a liar but he that denieth that Jesus is the Christ? He is antichrist, that denieth the Father and the Son.” Matthew 23:9 Reads “call no man your father upon the earth: for One is your Father, which is in heaven.” Jesus also said in Matthew 23:8 “One is your Master, even Christ; and all ye are brethren” In an artical from Catholic National in July of 1895, it states “The Pope is not only the representative of Jesus Christ, but he is Jesus Christ, Himself, hidden under the veil of flesh.” The pope by claiming to be Jesus Christ hidden under the veil of flesh, is denying the true Jesus Christ, and according to scripture is defined as Antichrist. In a Vatican document entitled ‘Decretal de Translat. Episcop. Cap.’, it states “He [the Pope] can pronounce sentences and judgments in contradiction to the rights of nations, to the law of God and man…He can free himself from the commands of the apostles, he being their superior, and from the rules of the Old Testament…The Pope has power to change times, to abrogate laws, and to dispense with all things, even the precepts of Christ.” There are many more Vatican documents that can be studied, but for the purpose of this page, I think there is sufficient evidence that the Pope throughout history has magnified himself as the prince of the host. –By him the daily sacrifice was taken away and the place of the sanctuary was cast down.- In 70 AD, the Roman Empire via Emporer Titus (which later would become the Roman Catholic Empire) attacked Jerusalem, destroyed the temple and in effect destroyed the daily sacrifice. History reveals that 1,100,000 men, women and children perished in this siege, and 97,000 were captured and enslaved. The Jewish people of Jerusalem continued in the daily sacrifice after the death of Jesus because they didn’t believe He was the Messiah. Because of their abominations, the temple and the city was completely destroyed by the Romans, and the prophecy of Jesus (Mark 13:2) was fulfilled that not one stone of the temple will be left upon another. –Cast the truth to the ground and prospered– The Roman Empire and later the Catholic Church was successful throughout history of restricting access to the bible, the word of truth. In some cases during the dark ages, the bible was banned and even burned. In doing this, they prospered with wealth and religious/political power. –In the latter time, a king of fierce features will stand up-come to power, understanding dark sentences– In the “latter time” of the Empire of Rome, the Roman Catholic Church came into power, and boy did they understand dark things. 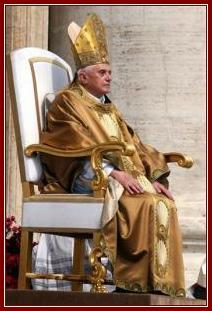 The Popes’ that would rise out of this ruling system would be some of the most evil to ever rule on the planet. We are still awaiting the last Pope that will rear his head, who according to Revelation, will actually be a fallen angel from the bottomless pit impersonating a king/leader. –Will destroy the mighty and holy people– The Roman Catholic Church throughout history has not only ruled over Kings and political leaders, but also over God’s chosen who remained obedient to the commandments. There is well documented history to the fact that anyone through the RCC rule that didn’t bow down to the Pope and his proclamations, was persecuted, tortured, and put to death. –He will cause craft to prosper– to understand what “Craft” means, we have to look at the original greek translation- because in English, craft could either be a profession of making things, or it could mean witchcraft. According to the original Greek translation, the word used in Greek is “Mirmah” meaning- deceit, deceitful, deceitfully, false, guile, feigned, craft, subtilty, or treachery. It is safe to say, the meaning of this verse is that Antichrist will cause “deceipt” to prosper. We can read in an article entitled “Medieval Forgeries”, written by an ex-Jesuit Priest Peter Doeswyck “The Apostolic Constitutions, The Donation of Constantine, The Clementine Forgeries, The Liber Pontificals (Biographical book of the popes), The Decretals of Pseudo-Isidore, and hundreds of other works are either spurious or have been mutilated. It is upon these that the bulk of Roman traditions originated. Catholic scholars admit one forgery after the other, but the Council of Trent upheld these forgeries as genuine “traditions” to which the written Word of God (Bible) is not superior. Roman Catholic theologians even admit that they themselves falsified the sacred books of other religions in order to win converts. As neither the majority of the people nor the lower clergy could read or write in the early Middle Ages, it is clear that the Roman hierarchy itself corrupted and falsified the true traditions. It is clear that Rome’s traditions did not originate from the lips of Christ or the Apostles.” As you can see, deceipt prospered in the leadership of the Roman Catholic Church leading the entire known world to “Christian” traditions that are not of God. There are many more examples of this and we urge you to study their history further. –Will magify himself in his heart and by peace he will destroy many– It is impossible to truly know if someone in a position “magnifies” himself in his own heart, as God is the only One that sees the heart. However, in the bible we know that out of the mouth comes what lives in the heart. We can look to the words of some of the Pope’s themselves. Pope Boniface in 1302 said “Furthermore, we declare, we proclaim, we define that it is absolutely necessary for salvation that every human creature be subject to the Roman Pontiff.” Pope Pius V said “The Pope and God are the same, so he has all power in Heaven and earth.” Pope Leo XIII is quoted as saying “We hold upon this earth the place of God Almighty.” Judging based on their own words, it is obvious that they magnified themselves. It can also be noted that the Pope never got his hands dirty, rather had minions that would handle the persecution, torture, and killing of many. –He will stand up against the Prince of princes– In looking into the past, the papacy has stood against the true Jesus Christ, by casting down the truth, destroying and restricting the bible for many years, and killing the true followers of Christ who refused to bow down to the Pope while maintaining obedience to God’s commandments. A show-down will happen again in the end when Jesus returns on a cloud to rapture all of His chosen. There is a final “face-off” between Jesus and the Beast predicted in prophecy, more details can be found on “The Rapture” page of this site. Daniel 11:36-45~ And the king shall do according to his will; and he shall exalt himself, and magnify himself above every god, and shall speak marvellous things against the God of gods, and shall prosper till the indignation be accomplished: for that that is determined shall be done. Neither shall he regard the God of his fathers, nor the desire of women, nor regard any god: for he shall magnify himself above all. But in his estate shall he honour the God of forces: and a god whom his fathers knew not shall he honour with gold, and silver, and with precious stones, and pleasant things. Thus shall he do in the most strong holds with a strange god, whom he shall acknowledge and increase with glory: and he shall cause them to rule over many, and shall divide the land for gain. (THE FOLLOWING WILL BE EXPLAINED ON A FUTURE PAGE OF THE SITE – And at the time of the end shall the king of the south push at him: and the king of the north shall come against him like a whirlwind, with chariots, and with horsemen, and with many ships; and he shall enter into the countries, and shall overflow and pass over. He shall enter also into the glorious land, and many countries shall be overthrown: but these shall escape out of his hand, even Edom, and Moab, and the chief of the children of Ammon. He shall stretch forth his hand also upon the countries: and the land of Egypt shall not escape. But he shall have power over the treasures of gold and of silver, and over all the precious things of Egypt: and the Libyans and the Ethiopians shall be at his steps. But tidings out of the east and out of the north shall trouble him: therefore he shall go forth with great fury to destroy, and utterly to make away many. END- WILL BE EXPLAINED ON A FUTURE PAGE OF THIS SITE) And he shall plant the tabernacles of his palace between the seas in the glorious holy mountain; yet he shall come to his end, and none shall help him. –Will speak marvelous things against the God of gods, will prosper– Again we refer the the words of the Pope’s- Pope Boniface in 1302 said “Furthermore, we declare, we proclaim, we define that it is absolutely necessary for salvation that every human creature be subject to the Roman Pontiff.” Pope Pius V said “The Pope and God are the same, so he has all power in Heaven and earth.” Pope Leo XIII is quoted as saying “We hold upon this earth the place of God Almighty.” While all of this sounds marvelous, these are mere men claiming the power of God, and they prospered while doing it. They assumed the “power” to change God’s laws and times, and were worshipped for it. –In his estate he shall honor the God of Forces or “Fortress”– The “estate” of the Papacy of the Roman Catholic church can be found in none other than Vatican City. This is it’s own city/state/country, and it answers to no other country in the world. The King James Version uses the word “Forces”, while many other translations use the word “Fortress” in this text. They both are relevant and can be seen in the Vatican. 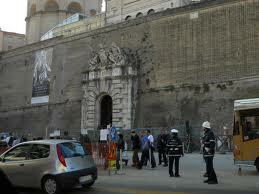 In the Vatican, you will notice a wall that surrounds the entire city. This protected them over the many years from their enemies, making the Vatican a “fortress” in her estate. The definition of fortress is- A large fortified place, permenant military stronghold that often includes a town. There is even an underground tunnel that goes from the Vatican to Castel St. Angelo that was used during extremely turbulent times. This city was it’s own fortress, used militarily and strategically by the church. In the same sense, this protection helped them to rule “forcefully”, while being protected in their massive fortress. –He will honor a God his fathers didn’t know with gold, silver, precious stones and pleasant things– The Roman Catholic Church over time erected many statues of saints, Crosses, Crucifixes, etc that were to be worshipped. There is however a significant “God” that wasn’t known to those in the Old Testament- this was the “God” or Goddess of Mary the Mother of God. In the Old Testament, there was the Sun God, Moon God, Earth Gods, Zeus, all of the Greek Gods and Goddesses, and Baal, but never was there a Mary the Mother of God. Mary the Mother of God is a “God his fathers didn’t know.” There are even golden statues of Mary that can be found throughout the Vatican, and throughout the world that are worshipped as idols. –He shall cause them to rule over many and shall divide up the land for gain– The Papacy was not only a religious power, but also a political one. They were active in many treaties over the past 1,000+ years that involved the dividing of land for gain. To give you one specific example, we can look to the Treaty of Tordesillas. In it, signed in 1494, “Pope Alexander VI declared that that all lands west and south of a pole-to-pole line 100 leagues west and south of any of the islands of the Azores or the Cape Verde Islands should belong to Spain, although territory under Christian rule as of Christmas 1492 would remain untouched. The bull did not mention Portugal or its lands, so Portugal couldn’t claim newly discovered lands even if they were east of the line.” You may wonder, why would a Pope have a say in what lands belong to Spain, or any other country for that matter. 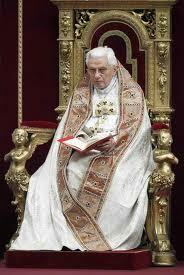 In truth, the Papacy of the Dark Ages held supreme control over most of the governments of the world. We encourage you to study all of the land treaties that the Roman Catholic Church had a hand in. –He shall plant the tabernacles of his palace between the seas in the glorious holy mountain– As many of you know, the Vatican is located right outside of present day Rome in Italy. Looking to a map, you will see that The Vatican rests on a strip of land between the Adriatic Sea, and the Tyrrhenian Sea. It is located on the “Hill of Janiculum”, directly outside of Rome and it’s 7 hills across the Tiber River. Why this would be a “glorious holy” mountain remains to be seen, but the location of The Vatican does meet the majority of the criteria here. 2 Thessalonians 2:1-4,8-12~ Now we beseech you, brethren, by the coming of our Lord Jesus Christ, and by our gathering together unto him, That ye be not soon shaken in mind, or be troubled, neither by spirit, nor by word, nor by letter as from us, as that the day of Christ is at hand. Let no man deceive you by any means: for that day shall not come, except there come a falling away first, and that man of sin be revealed, the son of perdition; Who opposeth and exalteth himself above all that is called God, or that is worshipped; so that he as God sitteth in the temple of God, shewing himself that he is God. And then shall that Wicked be revealed, whom the Lord shall consume with the spirit of his mouth, and shall destroy with the brightness of his coming: Even him, whose coming is after the working of Satan with all power and signs and lying wonders, And with all deceivableness of unrighteousness in them that perish; because they received not the love of the truth, that they might be saved. And for this cause God shall send them strong delusion, that they should believe a lie: That they all might be damned who believed not the truth, but had pleasure in unrighteousness. –The Day of the Lord shall not come until the “falling away first” and the “man of sin is revealed”– This tells us that the Antichrist would be revealed prior to the return of Jesus Christ. It also tells us that a “falling away” will occur before the return of Christ. 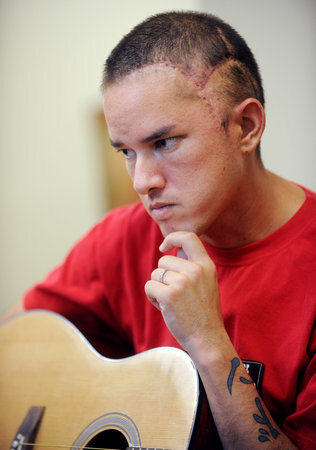 What does “falling away” mean? One can gather it means that many will fall away from God and Christ, by falling away from God’s ways and commandments. This has been facilitated by the Roman Catholic Church changing God’s laws. The mass majority of Christianity today have bought into the lies, traditions, and changes of God’s times and laws that the Roman Catholic Church has established through their rule. There remains only a remnant that remain true to God’s holy and unchanged word in the bible. –He opposes and exalts himself above all that is called God– This character trait was already explained in the “Daniel 11” section. –He sits in the temple of God shewing himself that he is God– To understand this, we must first understand, what is the temple of God? To find this we look to scripture- 1 Corinthians 3:16- “Know ye not that ye are the temple of God, and that the Spirit of God dwelleth in you?” So here we see that the temple is not a building, rather we are the temple of God because God’s spirit is within us. So how is the Papacy or the leadership of it’s offspring churches “sitting in the temple of God?” This can be explained when we understand that Jesus Christ is the final and only “mediator” between us and God. Upon Jesus’ death, there was no longer the need of a high priest to offer a sacrifice for our sins. Jesus became the high priest and only mediator between us and the Father. Many have been trained, instead to look to the Pope as the mediator or high priest, rather than our Lord Jesus Christ. The Pope, or other church leaders then “sit in the temple” and they take Jesus’ place as the mediator claiming that they only can forgive sins and “make the rules”. This has misled countless Christians into following men, rather than seeking out the true mediator Jesus Christ with a repentant heart. As mentioned earlier on this page, the Papacy has also made claims to have all of the power and authority of heaven and earth- over God, even to change His laws. In the picture above, you can even see how the Pope sits on his throne literally, between two cherubs. Remember that the “mercy seat” of the Ark of the Covenant was covered by two cherubs, and was known by the Israelites to be God’s throne on earth. 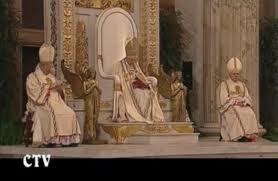 So you can see that the Pope even “literally” fulfils this prophecy, by making it appear that he sits on God’s throne. –Has 7 heads, 10 horns and 10 crowns– See the Key Characteristics for Revelation 17, where the scripture actually interprets this. –BLASPHEMY- Upon his head is the name “Blasphemy”/Speaks great things and blasphemies/He opened his mouth in blasphemy against God, to blaspheme his name, and his tabernacle, and them that dwell in heaven– The key word here is blasphemy. This according to the bible occurred when someone claimed the power to do something that only God had the power to do. This happened to Jesus several times as recorded in the bible, where he revealed that he was the Son of God, which according to the Pharisees was “blasphemy”- Matthew 26:63-65– “But Jesus held his peace, And the high priest answered and said unto him, I adjure thee by the living God, that thou tell us whether thou be the Christ, the Son of God. Jesus saith unto him, Thou hast said: nevertheless I say unto you, Hereafter shall ye see the Son of man sitting on the right hand of power, and coming in the clouds of heaven. Then the high priest rent his clothes, saying, He hath spoken blasphemy; what further need have we of witnesses? behold, now ye have heard his blasphemy.” Here Jesus claimed something that only God could do- little did they realize- He was God’s son. 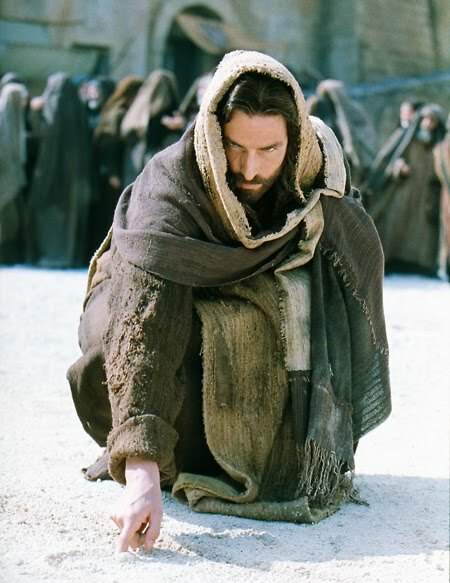 Again in John 10:33 we read “The Jews answered him, saying, For a good work we stone thee not; but for blasphemy; and because that thou, being a man, makest thyself God.” Also in Mark 2:5-7– “When Jesus saw their faith, he said unto the sick of the palsy, Son, thy sins be forgiven thee. But there was certain of the scribes sitting there, and reasoning in their hearts, Why doth this man thus speak blasphemies? who can forgive sins but God only?” You can now see what blasphemy means- claiming to be God, or claiming the power of God…..even claiming the power to forgive sins. All of this is biblical blasphemy. The Pope and the Roman Catholic Church is guilty of all of these forms of biblical blasphemy. –One of his heads were as if wounded to death, but had been healed– Around the year 1798, the Pope was forcibly removed by Napolean from Rome, and placed into a prison in France. Because of this, the Papacy lost control of the Roman capital for a number of years. 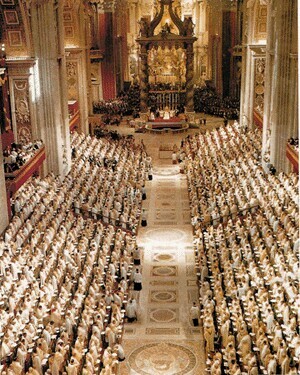 It wasn’t until 1929 under the Lateran Treaty that the Pope was again established in Vatican City. Some side history- the Pope’s have generally resided in the area of the Vatican beginning in 1377. Previously they presided in the Lateran Palace on Caelian Hill on the far side of Rome from the Vatican. This was given to the Pope Miltiades in 313 AD by Emperor Constantine (Note, they didn’t receive political power until 538AD). Regardless, this removal of the Pope from power in 1798 is thought by many scholars to be the wound on the head, that became healed in 1929 with the re-establishment of The Vatican under the Pope’ rule. –All of the world wondered after the beast/Had power over all tonges, kindreds and peoples and nations, and everyone will worship him that is not written in the book of life– This was a fact during the Dark Ages. Everyone of all nations worshipped the Roman Catholic power through the Pope, with the exception of God’s chosen that refused to bow to a man in obedience to God’s first commandment. The power of the Papacy dwarfed any power that came before it. –Power was given to him to continue 42 months, Made war with the saints and overcame them– This was explained under the “Daniel 7 Prophecy” section. Quickly- this represents- 42 months = 1,260 days = 1,260 years. From the time period of approximately 538AD and 1798AD (1,260 years) the Roman Catholic Church ruled over all nations directly or indirectly, and they made war with anyone that would not bow to the pope or the church. They were successful during this massive time period. Note: One of the amazing things about prophecy in scripture, is that in many cases, the angels explained what the prophecy meant right there in the scripture. This is the case with Revelation 17. You will see the symbols presented in the first half of the chapter, and then the symbols are explained in the second half of the chapter. 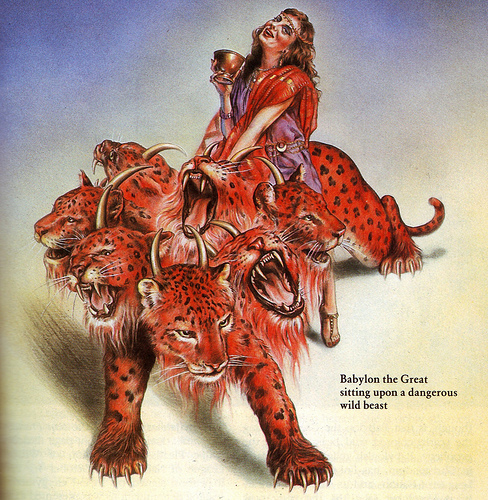 –Calls Anitchrist the great whore with whom the kings of the earth committed fornication/also referred to as a woman riding a scarlet beast full of names of blasphemy– In scripture, a women typically symbolizes a church, and in this case, the scripture indicates that it represents the city sitting on seven mountains which reigns over the kings of the earth. Please note- Rome is known as the city of seven hills. A beast on the other hand typically symbolizes a massive world kingdom. You can see in the symbolism of a woman riding the beast- this is a church or the city of Rome riding/controlling a kingdom. Remember, the person riding the beast usually gives the orders. This beast is full of “names of blasphemy” again meaning that it claims to be God, or have the power of God, or the power to forgive sins. This “whore” committed fornication with the kings of the earth. The term fornication is more adaquetly described as “sleeping around” or being “unfaithful”. 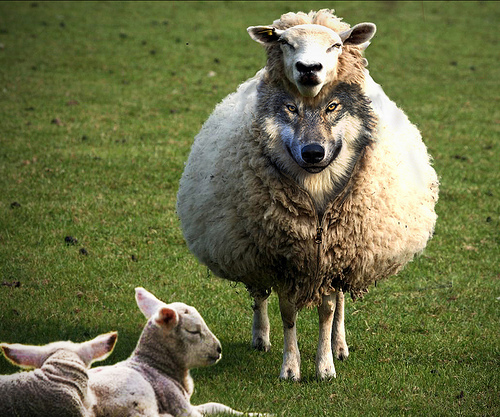 The Catholic Church through political and religious manipulation very clearly fulfills this description. Also, the city of Rome since Jesus time, has held power over all of the kings of the earth in some form or fashion. 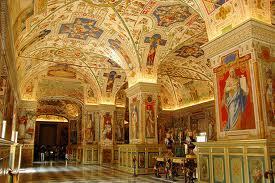 There is no other place that is visited by all of the leaders of the earth, other than the Vatican in Rome. –Identified or arayed in purple and scarlet colour, decked with gold, precious stones and pearls, also having a golden cup– Just by viewing some pictures of Roman Catholic Cathedrals, ceremonies, and chambers at The Vatican, you can see that these symbols can “literally” be seen everywhere. 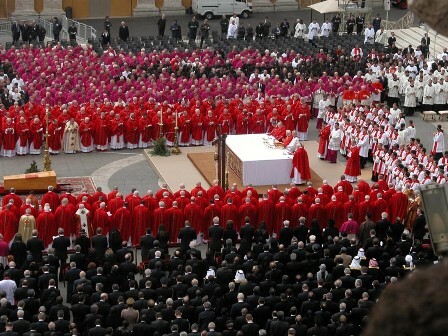 Many of the priests and ministers adorn themselves in scarlet and purple, and many items within any cathedral are decked out in gold, silver, pearls, precious stones, etc. 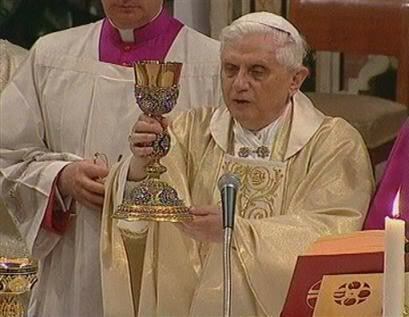 Also in the picture above, you can see the Pope himself holding the “golden cup” which according to Revelation 17 is full of abominations. This identification in scripture alone should make it pretty easy to point out Antichrist, yet many still are blind. –Name on forehead- “Mystery, Babylon the great, the Mother of Harlots and Abominations of the Earth”– This is significant, because in scriptures, this is in bold and in caps- it is emphasized. This title helps us to identify the beast even more so. Many of the practices of the Roman Catholic Church have their roots in Ancient Babylon. This includes Christmas, Easter, Sunday worship, idolatry and Babylonian signs and symbols used within their churches and cathedrals. Yet this is a “Mystery” to so many. Antichrist is also called “Mother of Harlots”- meaning there isn’t just one church, there are many/multiple- this is plural. Out of the Roman Catholic Church during the Protestant Reformation came many churches that started with the best of intentions, yet over time and through deceit, still accepted the teachings of the Roman Catholic Church. Some of these have leaders that act as their own Pope/Mediator with God, and most have accepted the changes in God’s times and laws that originated with the Roman Catholic Church, rather than returning to God’s times and God’s laws. These churches have also accepted the false interpretations/teachings of bible prophecies that originated in Rome. These are “Harlots”, and the Roman Catholic Church is the Mother of these Harlots. Finally, the last title listed is “Mother of Abominations of the Earth.” An abomination in the bible has to do with something that violates God’s laws, statutes, times, etc. The Roman Catholic Church is the Mother of these abominations, in that they originated with “her.” So you can see, this title gives us quite a bit of insight in identifying Antichrist. –Drunken with the blood of the saints and the blood of the martyrs of Jesus– Again, the Roman Catholic Church was responsible for millions of Christian deaths during the Dark and Middle Ages. They in essence are “drunken” with the blood of the saints because of this. –The Beast was, and was not, and then is– To reiterate, the Papacy was in power politically and religously for 1,260 years, and then was uprooted. In 1798 Napolean removed the pope from Rome and placed him into prison in France. The Roman Catholic Church fizzled in the 1700’s and 1800’s, and not until 1929, was it re-established in Rome/The Vatican. So you can see, it was, and was not, and then is. –Explanation of The 7 Heads– Remember the 7 heads and 10 horns of Daniel 7? Yet Revelation 17 gives us a different interpretation of these. The explanation of the Revelation 17- 7 heads and 10 horns can be found right here in the scripture of Revelation 17 (As Daniel 7 revealed the meaning of it’s own prophecy). 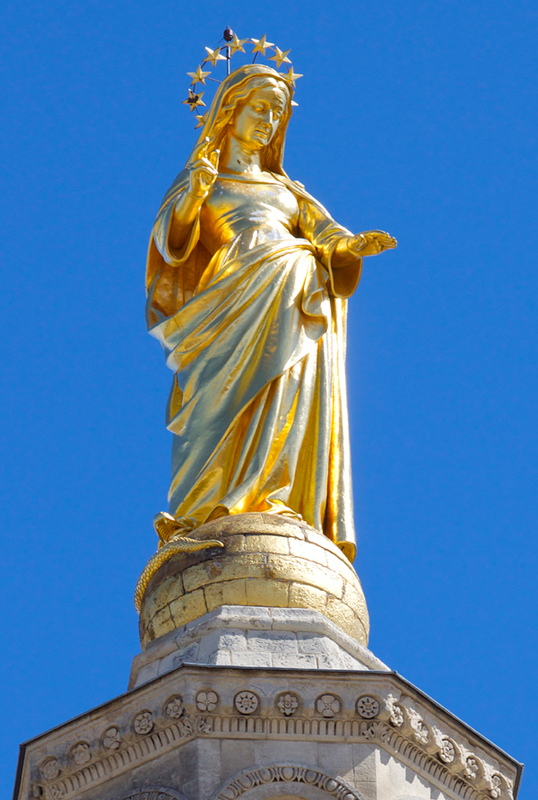 The 7 heads are 7 mountains on which the woman (church/city) sits. 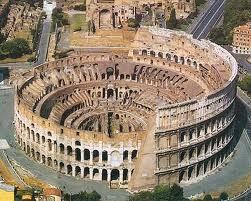 When we look at Rome, it is known as the city of 7 hills throughout history. These include Aventine Hill, Caelian Hill, Capitoline Hill, Esquiline Hill, Palatine Hill, Quirinal Hill, and Viminal Hill. 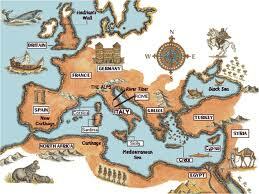 This discription helps us to identify Rome as the city where the church sits. -Explanation of the 7 Kings- 5 Kings have Fallen, one is, and the other continues for a short time- the 8th is of the 7 and goes to perdition- This requires understanding. Notice that John was carried out into the wilderness in this prophecy. The Catholic Church when it was uprooted by Napolean was “in the wilderness” not having a state or nation to rule- just as God’s children were “in the wilderness” in the prophecy of the Woman Clothed with the Sun (See Page). In 1929, the Papacy came out of the wilderness and were once again established in their own state- Vatican City through the Lateran Treaty. The Pope again became the king of this city/state, and ruler over the worldwide church at the same time. Now from this coming out of the wilderness, there are 7 kings (or Popes), 5 have fallen, 1 is, and the other only continues a short time. The kings are as follows: #1 Pope Pius XI, #2 Pope Pius XII, #3 Pope John XXIII, #4 Pope Paul VI, #5 Pope John Paul I, #6 Pope John Paul II, #7 Pope Benedict, and finally #8 Pope Francis I. This prophecy was seen in the time of Pope John Paul II. Pope John Paul II would have been the 6th king of the prophecy. Following Pope John Paul II came the 7th king- Pope Benedict who as prophecied continued a short space and actually offered up his resignation in February of 2013. The 8th king will be the last and final king to rule this corrupt institution because he will go into perdition. Only time will tell the whole story and we must all continue to watch. 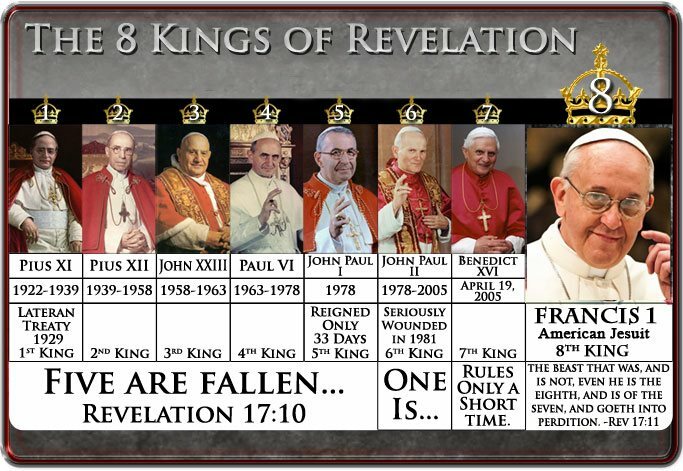 Regardless, this prophecy indicates that we are currently as of (2013) living in the time of the 8th king, Pope Francis I, the Pope that will go into perdition. This piece of the prophecy helps us to identify the time and season we are living in, in relation to God’s plan and the end times. This chapter says that the beast that was and is not, is the 8th king and is of the seven. It indicates that the Roman Catholic Church “was” the world power until 1798, then “is not” as it had no state and was “in the wilderness” until 1929, and “yet is”. With the 8th king we will probably see the rise of the worldwide influence of the Catholic Church to its former glory and treachery. We will also see the “image of the beast” come, in protestantism taking on a similar role in causing government to enforce laws that disagree with God’s laws, while agreeing with and enforcing the “changed laws and times” created by the original Beast/Antichrist (Catholic Church). This would in effect form an image of the first beast. All of this being said- we nor anyone is able to set or know the exact time of the return of Christ. The day and the hour remains a mystery to all in Jesus’ own words, but we are able to determine the seasons according to the instruction of Jesus. He advised us “when you see these things taking place, know that I am at the door- this generation will not pass away until all is fulfilled” Paraphrased. God is also longsuffering towards us, that we turn from our iniquity before the appointed time. –Explanation of The 10 Horns– This also can be found in the second half or Revelation 17. It mentions- these are ten kings, which have received no kingdom as yet; but receive power as kings one hour with the beast. Most likely these will represent 10 world regions. These have one mind, and shall give their power and strength unto the beast (Catholic Authority). These shall make war with the Lamb, and the Lamb shall overcome them. Notice, these kings are different than the 10 kings of Daniel 7. In Daniel 7, the 10 kings are given to identify who the Antichrist system is, but the result is that the saints will be given into his hand for 1,260 days (years). In other words, the saints are persecuted and defeated. This is the same rule as the system of Revelation 13 where we can see again, the saints are persecuted and defeated. The 10 kings of Revelation 17 have a very different outcome. In this case, they receive power with the beast for “an hour”, they give their power and strength to the beast, and they will make war with the lamb, and the “Lamb and His chosen shall overcome them“. This refers to the end when Christ returns to defeat the Man of Sin. The indication of “an hour” using the day=year principle, is a very short period of time- that is- approximately 15 days. Revelation 17 also indicates that these kings will hate the “whore” or the “church/Rome/The Vatican”, and will make her desolate, eat her flesh and burn her with fire. This is a statement of judgment that will come upon the Antichrist church, initiated by these 10 kings in the end. God will put it into thier hearts to hate Rome/The Vatican, and they will destroy that city. In these prophecies you can see a call from God- to “come out of her my people”- come out of this beast/Antichrist system before you share in her plagues. This is a calling to all of us to obey God’s commandments and carry the testimony of Jesus Christ. Based on the prophecies, you can see overwhelming evidence that the Roman Catholic Church does fit the description given to us as a warning in the scriptures of the bible. 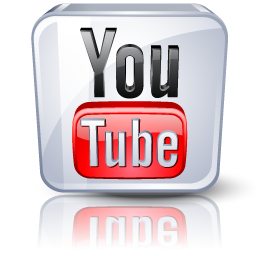 This page hopefully will give you a starting point for your own personal studies. Martin Luther recognized these things already in the 1500’s, yet he was silenced quickly and the Protestant Reformation was hijacked by false teachers and false prophets. 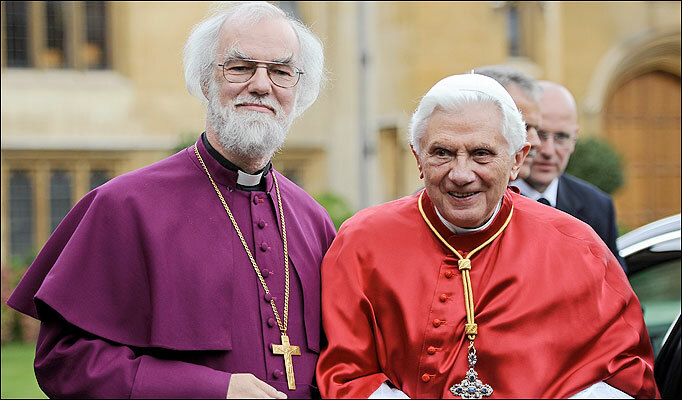 The Roman Catholic Church continues to again gain control over the Protestant movement through the World Council of Churches, a group with over 340 Protestant church members representing 550 million Protestant Christians worldwide with the goal of “uniting” in thier witness for Christ. This is the latest method of Antichrist, but I’m sure it won’t be the last. Also please note the current involvement of the Roman Catholic Church in guiding the world to a world governing system: See Article- “Pope Calls for a Global Authority on Economy” ~ Reuters. We implore you to study history and prayerfully search God’s holy scriptures, so that you can gain all of the available knowledge of God’s kingdom, and so that you avoid these things that are coming soon. 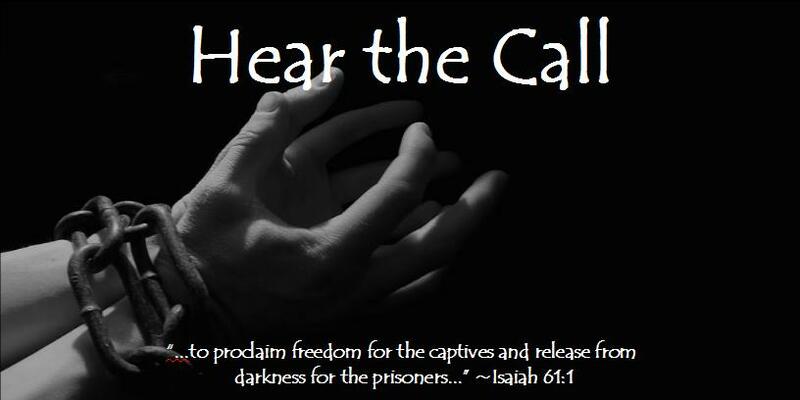 We hope that you hear God’s call to “COME OUT OF HER MY PEOPLE”, and that you return to obedience to God’s laws and times through the faith of Jesus Christ. Pingback: Today’s Christian Pharisee « Youth For Truth U.S.A.
Pingback: Return To The Commandments – The Kingdom Of Heaven Is At Hand « Youth For Truth U.S.A.
Pingback: 11 Questions For Today’s Christian Ministers « Youth For Truth U.S.A.
Pingback: The Book Of Life | Youth For Truth U.S.A.
Pingback: Ecumenism- The Beast’s Trojan Horse | Youth For Truth U.S.A.